When I was little I spent hours building the perfect tent. It would only consist of about three or four bed sheets, but I thought we were pros at making them. 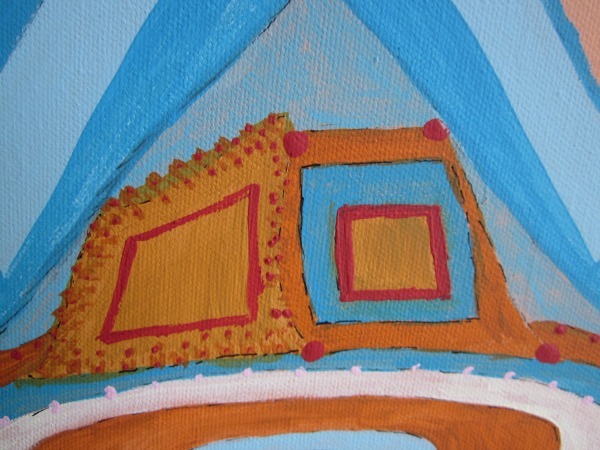 This painting is a work in progress with that playful tent memory in mind. I hope to be finished with it by next week. Do you have wonderful weekend plans ahead? We've been under the weather over here, so it'll be recouping time for us. He does? I love that! My kids loved making tents too and having sheets draped everywhere brought back happy memories for me. What a wonderful memory - I remember making tents out of sheets too! 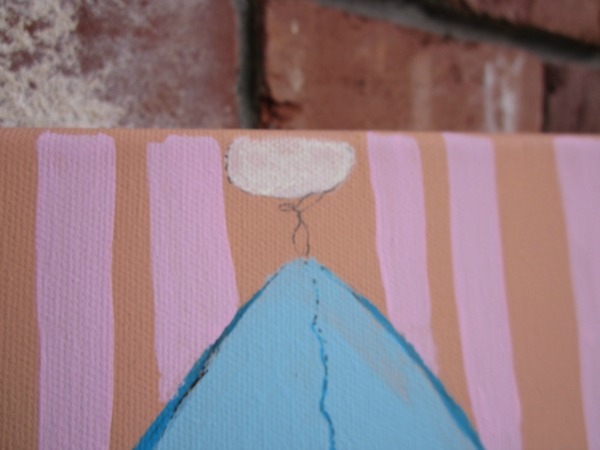 This looks wonderfully whimsical and I'll look forward to seeing it progress. Oh no, Natasha! haha Well, at least she had good vision. 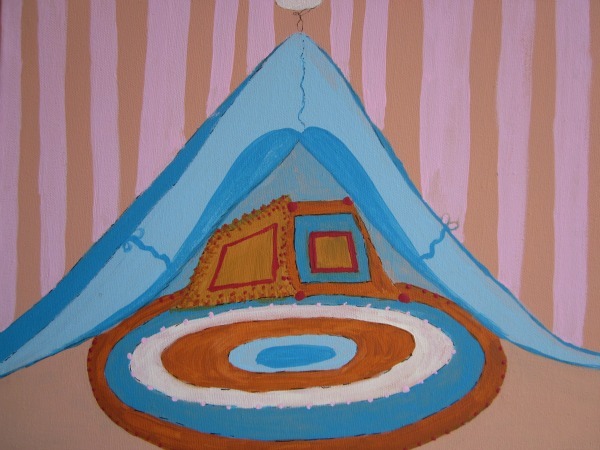 Love your sweet little tent...and it's complementary combinations of orange and blues. I love the oranges and blues too, but I think it needs a little more brightness (you know me and my bright colors) so that will be happening shortly. :) Thanks for the well wishes, we're slowly getting better. Oh, this brings back memories. My sisters and I probably spent half our childhoods doing the same thing. Are you going to fill it with stuffed animals too? Thanks sweet Janet. Doesn't tent-making bring back the happiest memories? Tents when I was little led me to a lifetime of outdoor activities and travel. Great memories. I love that your tent-making led to a life-long passion! That's so cool, JJ. Too sweet, I love that you are capturing a childhood Memory in this way. Happy PPF! great tent! i remember loving the feeling of being hidden away right out in the open when we built tents as kids. hope you have a relaxing and recuperative weekend! Sweet, this will be such a cool finished piece...can't wait!! Awesome idea! Who doesn't remember making tents...so fun!! would love to crawl inside that tent with a good book and a flashlight! Happy PPF!